Cut apples into pieces and add to water with lemon. Add cinnamon and cloves and simmer for 20 mins. Eat straight away or put in a box and freeze for later use. 1) Base: Mix 50 g/0,5 dl of the butter (really smooth), half the flour, half the sugar and the egg and shape the dough into a dish (should be one finger thick, left over dough could be frozen and used another time). 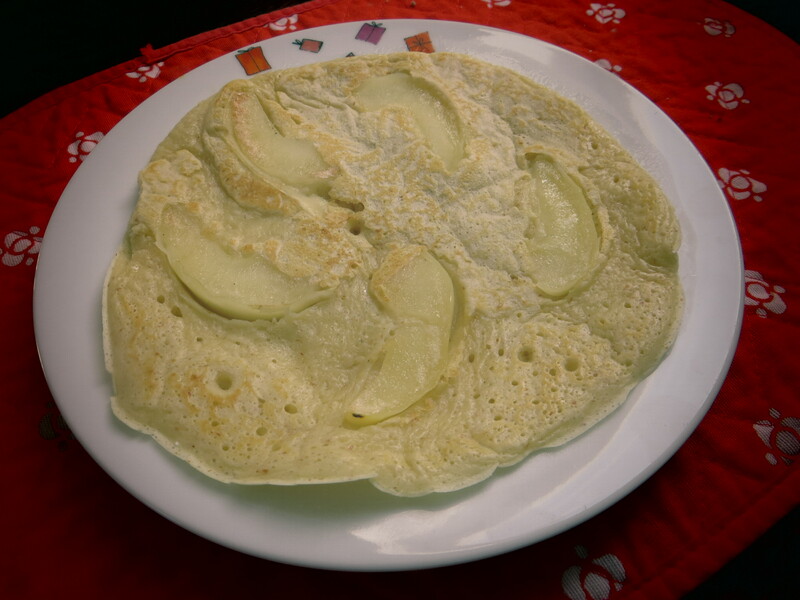 2) Filling: Cut some apples into pieces and put them on top of the dough (as many fruits as the base is covered). Sift some potato or corn flower of the fruits (to make them less liquid). 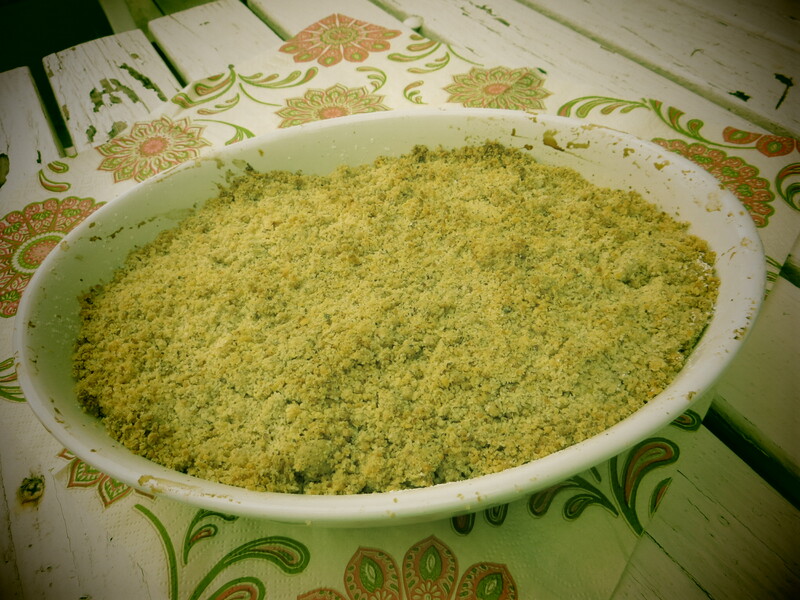 3) Crumble: Mix the rest of the flour and sugar with the nuts and some cinnamon. Melt the rest of the butter and pour it slowly over the mixture and make little crumbs. Bake in preheated oven with medium heat for around 25 minutes (baking time depends, so check regularly). NB! Use any fruit or combinations of fruit that you like. Blackberries with torn-up rose leaves or rhubarb are delicious! 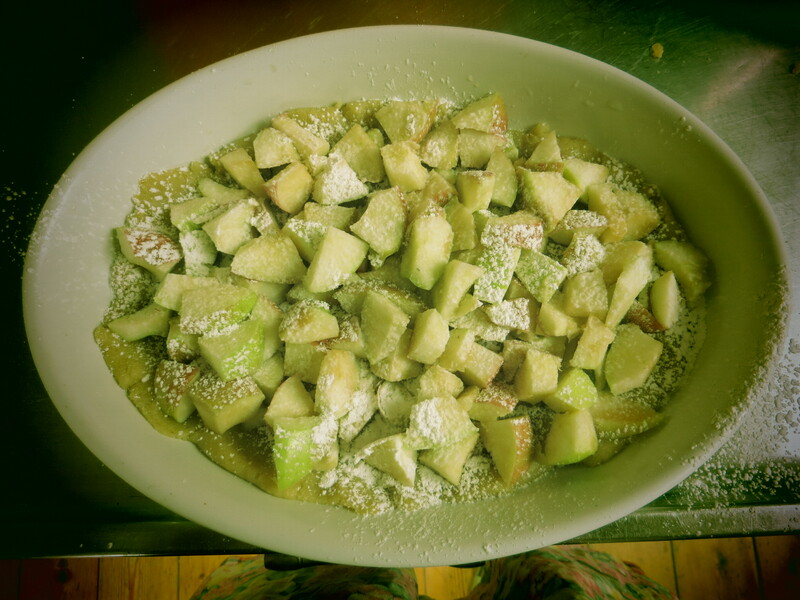 Mix everything except apples and shape half of the dough into a dish. Cut some apples into pieces and put them on top of the dough (as many fruits as the base is covered). Sift some potato or corn flower of the fruits (to make them less liquid). Put the other half of the dough on top of the apples. Bake in preheated oven with medium heat for around 25 minutes (baking time depends, so check regularly). NB! Use any fruit or combinations of fruit that you like. Mix flour, baking powder and salt. Whisk egg with oil and milk. Beat egg mixture into the flour until a smooth batter. Cut apple into pieces and sprinkle with cinnamon and cardamom. Grease pan a little. Pour some batter in the pan and add some sliced apples in the middle. Turn over with a spatula when top side is not liquid any more. Cook on the other side until it has a nice colour. 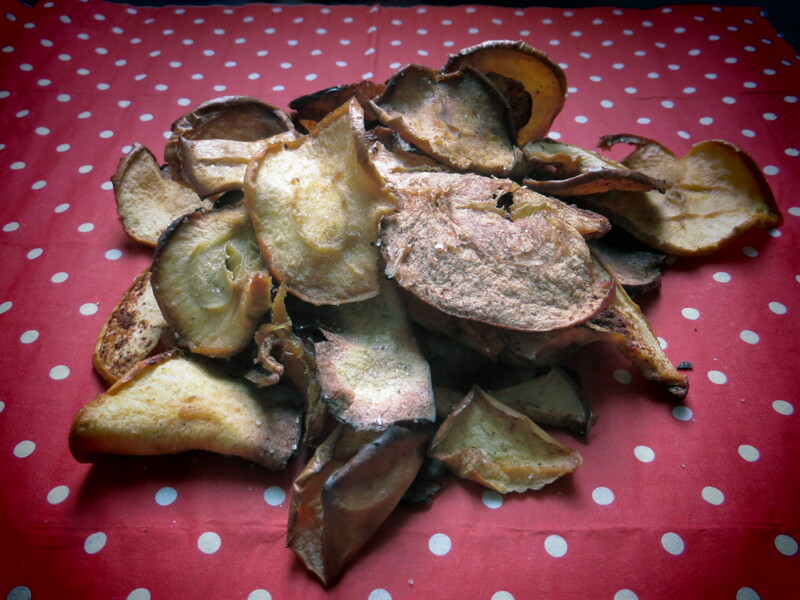 Chop apples in small pieces. Boil the apples with sugar (keep 2 tbsp), cinnamon stick and as much water as to cover the bottom of the pot for about 15 minutes. Whip egg yolks with sugar until light and fluffy. Add the mascarpone to the egg mixture and stir until all the lumps have disappeared. 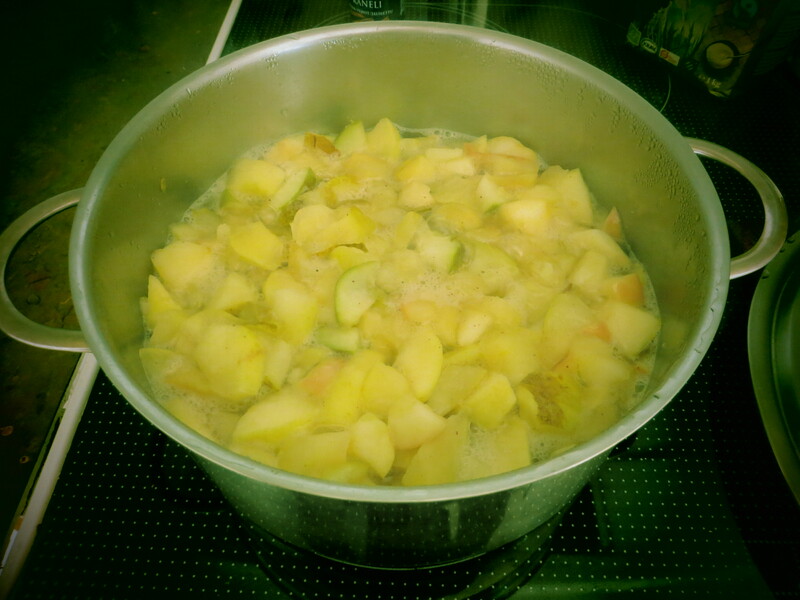 Add the apple-sugar mixture. Dip the ladyfingers shortly in amaretto (or apple juice). 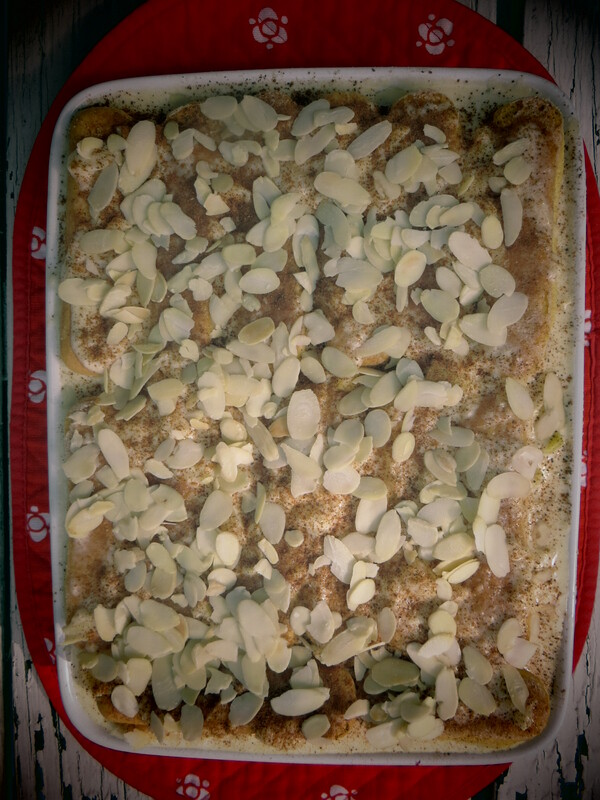 Make now layers of alternately ladyfingers and apple mixture. 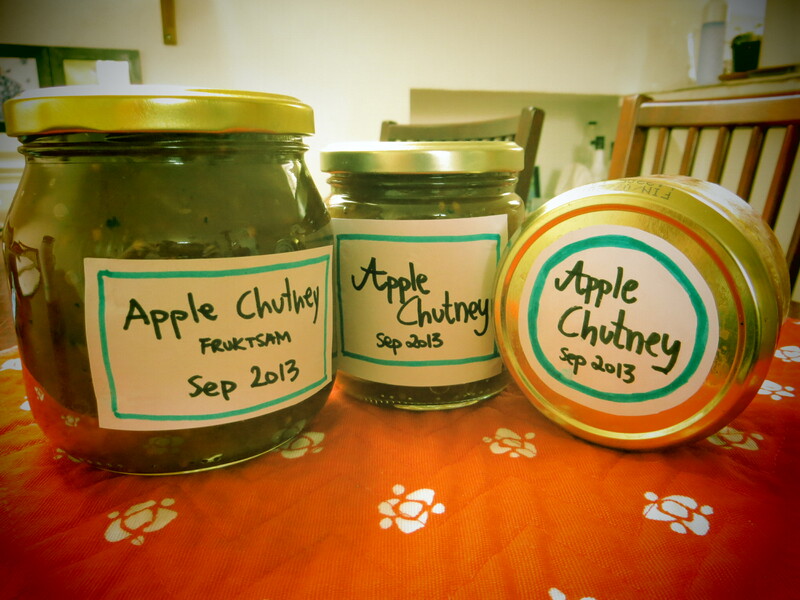 First row is apples, last is apple mixture. Sift cinnamon powder on top. Add almond slices on top. Put in fridge for 3 hours. Cut apples into small cubes. Cut onions finely. 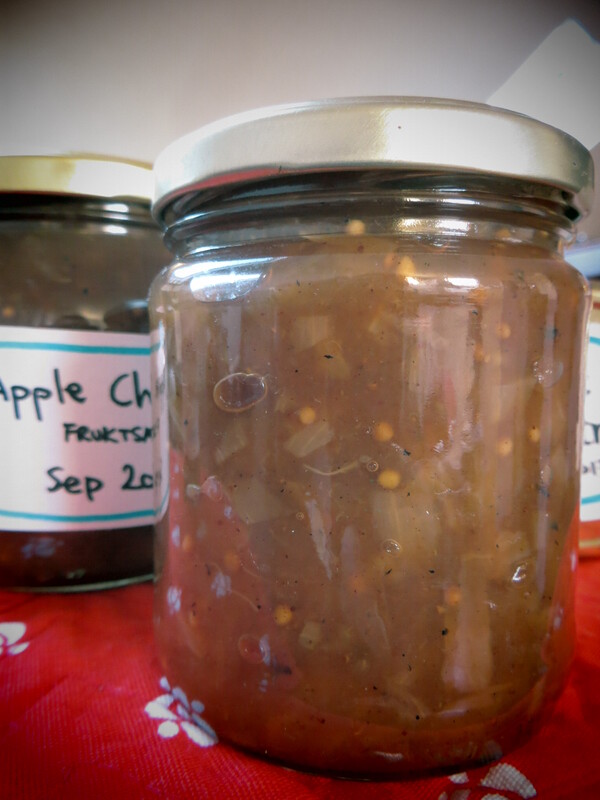 Put apples, onions and all spices into a pot and let it simmer for about two hours (until not liquid anymore). Stir from time to time. Add raisins. Fill in glasses. Slice apples into thin slices. Lay the slices in single layer on baking sheets lined with parchment paper, add some cinnamon on top and bake them at 100 degree C. Turn over the slices after an hour and bake another half hour to hour. Let them cool down and pack them into airtight containers.